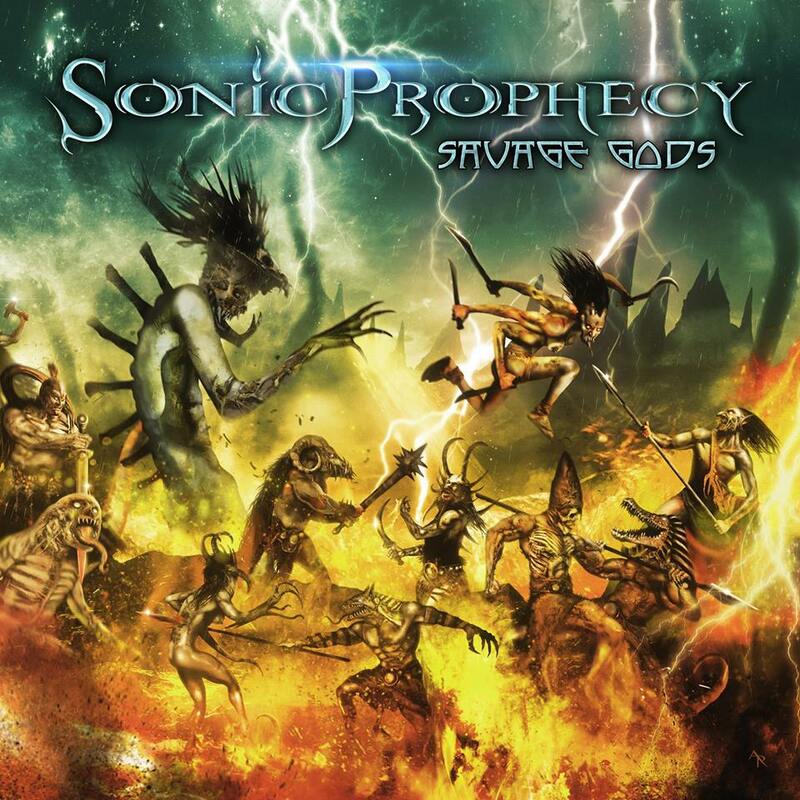 This is the third album from Sonic Prophecy, a power metal band from the US. I really enjoyed 2015’s Apocalyptic Promenade, so now that Savage Gods is ready to be unleashed, I’m very happy to reacquaint myself with their work. Well, it seems that the metal gods are well and truly smiling on Sonic Prophecy once more. If you haven’t encountered Sonic Prophecy before, think a blending of bands such as Iron Maiden, Iced Earth, Manowar, Blind Guardian, etc. In other words, very enjoyable heavy/power metal with some epic and symphonic streaks thrown into the mix. An album of traditional songs, full of hooks and belting tunes, Savage Gods is a roaring success of a power metal album. I find that this is a style that can sometimes easily be undone by the smallest of things, but Sonic Prophecy avoid such pitfalls. Professionally recorded, performed, and delivered, there’s nothing to not like on this album if you’re partial to the style. The songs are catchy and memorable, holding attention throughout the 59-minute playing time due to quality composition and arrangement. The album also has enough diversity to keep things interesting, without straying too far from its central theme. I continue to think that the singer has got an extremely accomplished voice. He knows how to hold a good tune, and belts these out like there’s no tomorrow. I can easily imagine singing along to some of the choruses on this album in the live environment, and if I am ever lucky enough to catch them live I’m sure that’s just what I’ll do. As far as I’m concerned Savage Gods is a pretty damn essential listen for any power metal fan. I really enjoyed Apocalyptic Promenade, but I think this new one has made some improvements. The album will be released in 2018 and heralds a strong start to the new year already for true metal. This entry was posted in Metal and tagged Blind Guardian, Epic Metal, Heavy Metal, Iced Earth, Iron Maiden, Manowar, Metal, Power Metal, Sonic Prophecy, Symphonic metal. Bookmark the permalink.